Facebook is one of the most popular social networking sites on the internet. You can choose to change the interface of Facebook, to make your social media presence more interesting. The method employed to change your Facebook interface depends on the web browser you use. If you are using Google Chrome, simply download a file extension, install, and restart Google web browser. Firefox has a choice of many interface designs for Facebook. Download the plug-in, install it, and run it. Select the design and load it as a Facebook page. For Opera go directly to the page and select the one you like, load it as user script and open a Facebook page. Internet Explorer does not support Facebook interface changes. Therefore you will need to opt for another web browser if you wish to change it. Apple's web browser Safari 5 allows changing the font and leaving out the ads on Facebook. Tired with the old Facebook interface? Here are some tips to change the look of your favorite social network. Download this extension. Install and restart Chrome. 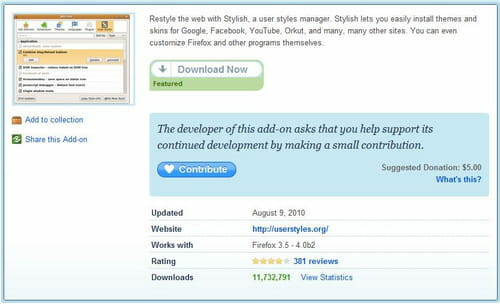 Download this plugin and after installing it, restart Firefox. Finally, install the script and load the page from Facebook! And that's it!! Go directly to this page and choose your design. Choose "Load as user script" and visit the Facebook page. Actually there are no methods to enable this under Internet Explorer; so you will need to switch to one of these browsers. Go to http://extensions.apple.com/ and download Safari 5, if you do not already have it installed. Click on the Safari menu bar and select preferences (Command+,). Scroll down to, or click on Social Networking. Choose your extension and install. A solution proposed by Luke Elston! Published by jak58. Latest update on June 27, 2012 at 04:56 AM by Jean-François Pillou. This document, titled "Change the design of Facebook interface," is available under the Creative Commons license. Any copy, reuse, or modification of the content should be sufficiently credited to CCM (https://ccm.net/). Facebook- create your Community Page!